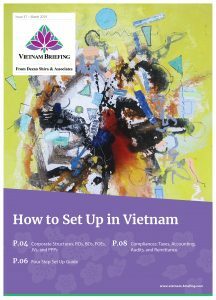 The latest issue of Vietnam Briefing Magazine, titled “How to Set Up in Vietnam”, is out now and currently available to subscribers as a complimentary download in the Asia Briefing Publication Store. Vietnam’s economy continues to perform well, sustained by continued domestic reforms, a stable government, and the diversification of foreign direct investment in the country. GDP growth in the country is broad based, sustained by strong manufacturing growth and bolstered by a strong external demand. Vietnam’s medium-term outlook continues to be strong, and despite a slack in the economy, inflation is expected to remain around 4 percent of the government target. With such growth, it makes sense that new market entrants see Vietnam as a good opportunity to establish in Asia or diversify their regional presence. But setting up in a new country requires some planning. Foreign investors can reduce potential pain points by selecting a corporate structure that best suits their business model, understanding the set up process, and planning for key compliances. 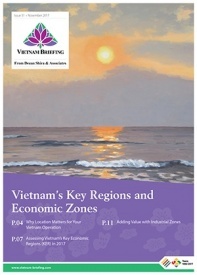 In this issue of Vietnam Briefing magazine, we detail company structures in Vietnam and outline the most efficient structure for foreign businesses that seek to take advantage of the country’s investment climate. 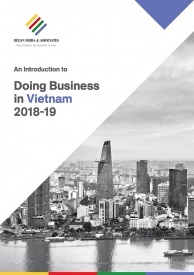 We showcase a four step set up process, while also highlighting compliance requirements, including auditing and bookkeeping requirements for foreign companies operating in Vietnam. 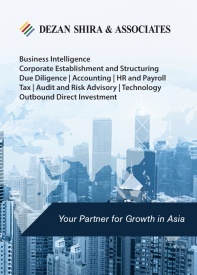 Dezan Shira & Associates’ team of corporate structuring specialists in Hanoi and Ho Chi Minh City provide our clients with years of experience in assisting foreign enterprises navigate and manage their corporate establishments within Vietnam. We are always available to discuss questions on how to best structure or scale operations in the country.